Not even office fax machines are free from hackers’ attempts, these days. A March 1 article on themerkle, a website that focuses on the latest technology, finance, cyber security, mobile news and more, tells the story of an office fax machine that is being held ransom. The fax machine was hijacked, essentially, by a flood of printing requests until a bitcoin payment is made. From the story, “Spamming a fax machine with printing requests is a very unusual tactic among criminals. The most obvious approach would be to ensure no one can print from it until a bitcoin payment is made. The solution isn’t as easy as turning the fax machines off, though. Companies receive real, legitimate faxes all the time – some of which are classified. 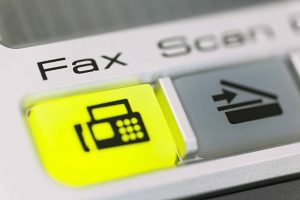 With the spamming of the fax machines, typically beginning at night, legitimate faxes are unable to come through, not to mention to complete waste of paper and toner that results from the attack. The article from themerkle.com mentions that one option a company could take is to try to negotiate with the attacker and come to an agreement. A last ditch effort would be paying the ransom, but that isn’t really viable. What can be done? The answer could be moving to electronic faxes. Electronic faxes can be sent over the internet, from any device with email access – including a mobile phone. No more paper jams, busy signals or, these days, a spam campaign holding the fax machine hostage. Email fax is a much more efficient way of handling business. When you receive a fax, you can sort through the pages for the information you need and choose which pages you do or don’t need to print. Less clutter for you and your office, plus it frees you from possible spam campaigns. Take control of your own situation without having to answer to attacks.